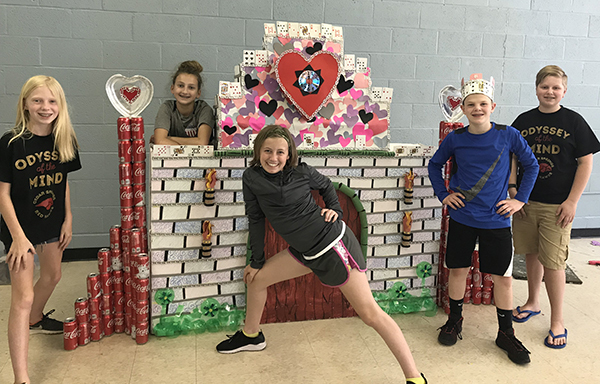 Tag Archive | "World Finals"
This Odyssey of the Mind team from Red Hawk Elementary will be competing at the World Finals this weekend in Ames, Iowa. Courtesy photo. 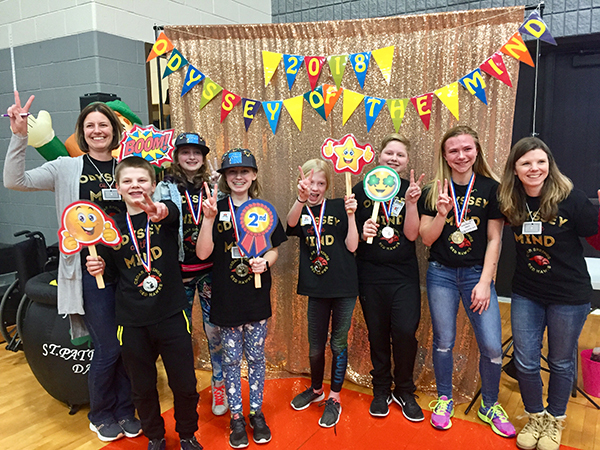 The Cedar Springs Odyssey of the Mind team, coaches, families and fans are heading to the World Finals competition in Ames Iowa! Opening ceremony was last evening, Wednesday May 23 and the awards ceremony is Saturday May 26. In between, the team will be pin trading, practicing their spontaneous and long term performance, sprucing sets, scripts and costumes, and meeting and interacting with teams from all over the world. Thirty-four of the U.S states are sending multiple teams, and teams are also coming from China, Poland, Hong Kong, Singapore, South Korea, British Columbia, Mexico, Switzerland, India, Russia, Japan, Germany, and Qatar. There will be 837 teams participating that are considered the best of the best. The World Finalist team from Cedar Springs started their journey back in September/October with a coach search, a team of students, and a whole lot of creative thinking. Their journey will end on May 26 but the memories they make and the lessons they learned in this process will stick with them forever. Good Luck to our four World Finalists! A huge thank you to our community for the sponsorships, encouragement and support the teams have felt during the fundraising process. If you are interested in getting your student involved in the upcoming season you can check out: odysseyofthemind.com (the 2019 Synopses are posted) or Miodyssey.com (a short video is posted about Odyssey) or contact your school principal. The Cedar Springs Public School information meeting is held mid September 2018. This program is open to students K-12th.